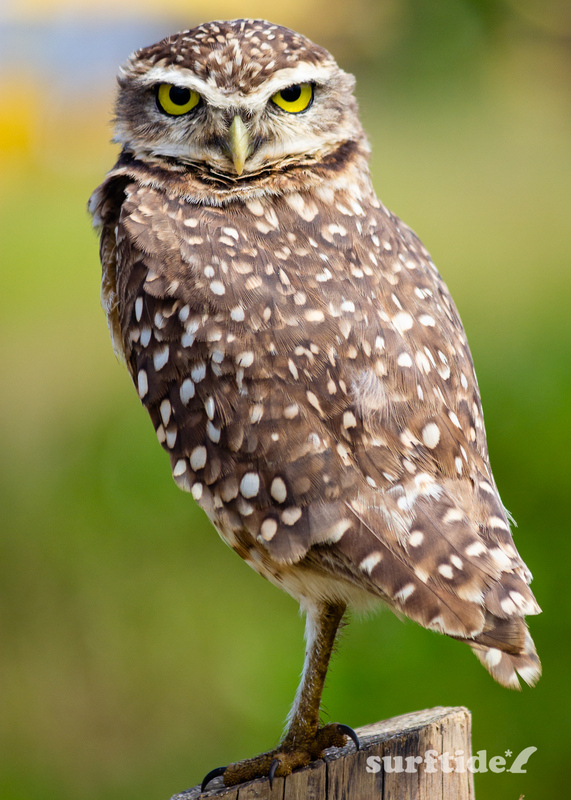 Macro photo showing a rather stern-looking Coruja Buraqueria/Burrowing Owl standing on its perch. Check out the intense ‘death stare’ that this owl was giving me whilst I was snapping his portrait. 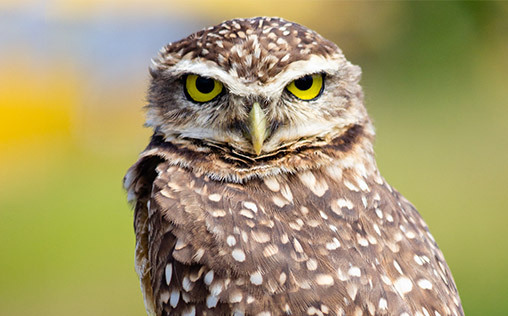 You can find these burrowing owls all along the coast of São Paulo. As their name suggests, they make their nests on the ground by creating rabbit-like borrows. 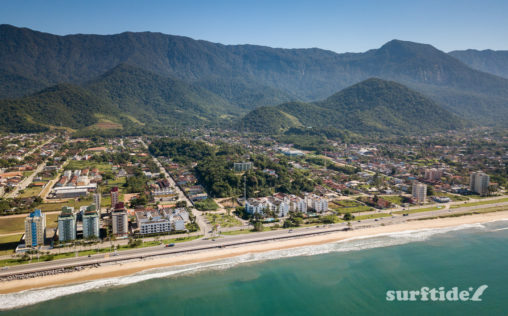 This photo was shot whilst on an afternoon walk along the beach in Massaguaçu, Brazil.